District Attorney Vance established the Criminal Justice Investment Initiative (CJII) to invest millions of dollars seized in our prosecutions against major banks in large-scale efforts to strengthen communities, prevent crime and accelerate reform in the justice system. $7.1 million to fund Project Reset — an early diversion program that gives non-violent New Yorkers arrested for the first time a chance to be held accountable in a community setting and avoid a criminal record. $7.2 million to fund expansions of education, housing, and employment opportunities for reentering New Yorkers, including $3 for the NYC Health Justice Network, the largest-known investment in primary care for reentering individuals. 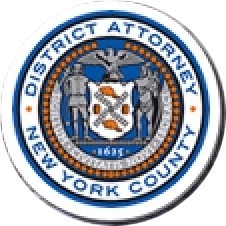 $12M grants set up for immigrant, transgender crime victims: Manhattan D.A.